Harry (Apex, NC, United States) on 21 September 2016 in Lifestyle & Culture and Portfolio. 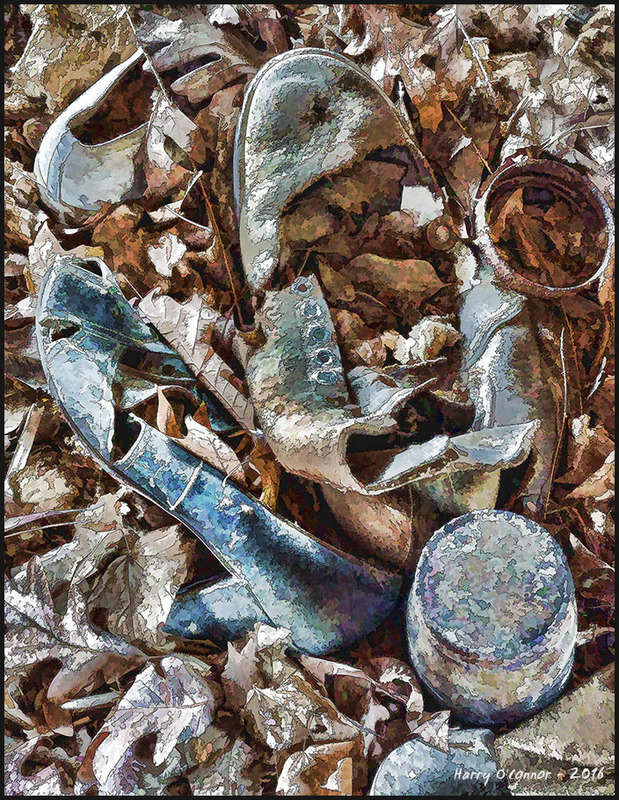 Discarded shoes out behind the abandoned farmhouse. Signs of life . . as was. Processing suits well here, like it! Good compo and find as well. Excellent image, and very nice work on this. Must be ages.... How sad this looks ! This close in picture of these shoes is very effective. The open spaces help make this shot work so well. A nice and interesting work ! Eye-catching post-processing used here!! It produces nice textures and the top of the can/jar looks like jigsaw puzzle pieces. Very cool effect! Well done.